Once we know how to work with it, the life force energy that we all have running through us has amazing potential to help us live in the present moment, let go of sadness and find more joy, attune to a deeper level of self-awareness, and heal ourselves and the wider world. Energy healer, teacher and shamanic psychotherapist Abby Wynne has taught thousands of people to find freedom from negative energies and be more tuned in to joy. She knows from personal experience that tapping into this remarkable source of healing we all possess can be truly life-changing, because it gives you the power to centre and ground yourself so that you can stay strong, no matter what life brings. This course will teach you simple ways to bring yourself into your body, get in touch with your energy, notice what affects you and how you can connect to the Earth for support. When you truly understand how to read your own energy field, you learn to consider situations fully rather than react to them, and discover how to be centred and calmer in your own life, which ultimately leads you to make much better decisions. Abby Wynne is a shamanic psychotherapist, energy healer, author and teacher. 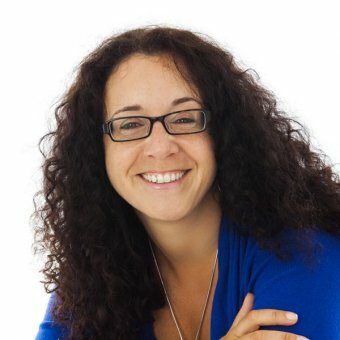 She blends psychotherapy, shamanism and reiki for a powerful and unique healing experience and teaches her online community how they can empower themselves through spiritual work. Energy healing can help everyone to become more in tune with who they truly are and discover that they are more than just their body, mind and thoughts. By learning about the role your energy field plays in how you feel every day, you open yourself up to the opportunity to help yourself feel better, more supported, in control and able to handle whatever life brings your way. Learn all about what your life force energy is and how it works. It’s important to prepare for the healing process and to clear any blocks you have created to healing that you may not even be aware of. By learning how to uncover any emotional weight that you carry in your energy field and which might hold you back, you’ll be able to recognize it, process it and move on so that you can truly heal. Learn about the importance of setting intentions and how to do this effectively for yourself. Centring is a very important step in the healing process, helping you to bring awareness into your body. It has many benefits and is often more difficult to achieve than it sounds. Be guided through the centring process so that you become familiar with how to do this practice effectively whenever you need. Once you’ve centred yourself, you can gain control of your energy field, reorganize it at will and connect to your intuition to get the answers that are truly right for you. Grounding is the next step in the energy healing process and is the vital piece in the puzzle. Grounding gives us a strong foundation to make us resilient and solid, able to protect our energies and not rely on anyone else for emotional support. As your energy grows bigger, your roots need to grow bigger too. By learning to ground your biological energy field to the energy of Mother Earth, you can expand outwards and embrace life’s possibilities without the danger of your foundations being shaken. High vibrational energies are all healing energies that help to dissolve low and dark energies. We can access these high vibrational energies, such as love and joy, by using our intention and giving our permission to receive. Connecting to these energies takes practice, and your capacity to do so will grow as you open the gates even further. You can also learn how to send this light, healing energy to people you care about. When you work with energy healing, you’ll notice changes quickly. When you expand your energy field, you take in more information and need to learn how to filter out anything that no longer serves you. Part of getting to know yourself is figuring out what you want to tolerate and how to step away from harmful negativity. You can also practice ways to heal some of these negative spaces and groups. Learn simple ways to bring all these techniques into your everyday life so that you remember to connect to healing energies throughout your day. You also need to learn how to make sure you are not picking up unwanted negative energies as you encounter other people. With these tools, you’ll be able to develop your energy healing work further and you’ll learn the different directions you could take it in. Summing up everything that you have learnt on this course, Abby encourages you to continue with energy healing and offers advice about how to move forward from here.